Education is the key to PPW! We have several events yearly that offer incredible speakers on various topics to help the professional photographer. The Spring Educational Conference is around April and provides the association's members an event to come together to enjoy old and new friends. Before this event our Annual Print Competition takes place. Hired judges are brought in to judge and critique our images with the 12 Elements of Merited Print as a guide. We hold another event around October to give a stimulating break from the photographer's busy season of High School seniors and families, for example. During the year, each PPW District holds meetings four times a year in the their area. To learn about these events besides here on our website, The Washington Photographer Journal comes out four times a year. Within the pages of the journal, you will also learn about the workings of PPW and informational articles about our industry. Welcome to Waves of Inspiration Registration Page! We are excited to have you a part of our annual conference! If you have any questions about your registration, please don’t hesitate contacting Dalisa DeChiara, our Registration Chair, at info@dalisajo.com or call 509-683-2652. Program Refund/Cancellation Policies: Withdrawal from attending may be made by written request no later than 30 calendar days prior to the event and is subject to a $50 administration fee. Withdrawal fewer than 30 calendar days prior to the event is non-refundable. PPW reserves the right to cancel courses or refuse admission to any attendee. In case of a cancellation by PPW, the attendee will receive a full refund. Returned checks incur a $25 service fee. The goal of this incubator is to have a guided discussion about the identity and branding of the PPW. As we all work together through this branding incubator we should be able to answer these questions. What are we in the business of...? New slogans and clear marketing messages. A website and social media platforms that are appropriate for our target market. Action plans that will likely be developed and need volunteers for will be. Timeline for rollout of new brand. Metrics in how we will measure success of new brand. Re-branding party and celebration ideas and date. Any new positions that need to be created and their responsibilities. Seating is limited. Please RSVP to know who is coming. Pre-Homework is needing to be completed before the meeting. There is an entire world of professional photography outside of families, babies and weddings that most photographers completely ignore. Millions of people from aspiring models and actors to interior designers need professional images that will help them succeed in business, that’s where commercial portrait photographers thrive. Learn the methods to create compelling and dynamic commercial portraits that can open up new avenues for your photography business from a full time, professional with 13 years experience in the industry, Gary Hughes. As the child of photographer parents it would have been natural for Gary to step right in to the family business, but he had to go out and try pretty much everything else before finding his way back to photography. In the 13 years since picking up a camera he has earned local and national awards including 3 Gold Medals and an Imaging Excellence Award from the International Photographic Competition and a Fuji Masterpiece Award. 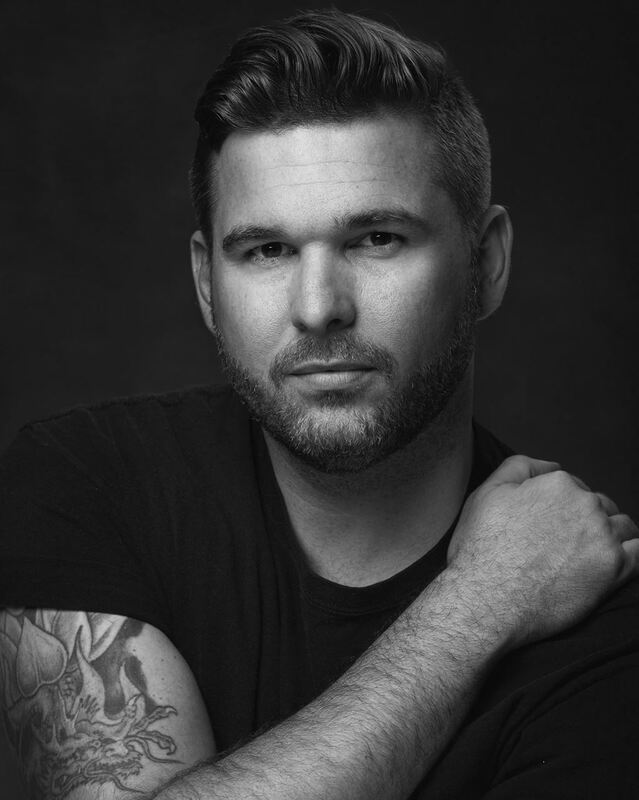 His work has been featured in Professional Photographer Magazine, Shutter Magazine, Professional Image Maker and he has published multiple articles on photography for the Huffington Post as well as an educational book, Photographing Headshots. He holds the designations of Master Photographer and Affiliate Juror with the Professional Photographers of America and most recently had an image selected in the top ten for the Grand Imaging Awards. He lives and works in Orlando, FL with his partner and wife, Julie and their children.